As a youth, to me it was important to be well educated and to marry in the temple. I was very blessed to be able to marry my best friend while teaching biology and coaching wrestling at West High School, in Salt Lake City. Linda was a gymnastics coach and taught health and physical education at West when we met. After marrying I continued teaching and stayed in school until I received my Masters Degree from Brigham Young University. During this time I coached many state championships in wrestling and won two state team titles along with having several “runner-up teams.” I later moved to Orem, Utah, teaching science and coaching wrestling at Orem High and Mt. View High School. I have coached young men for over 40 years and I have found the sport of wrestling to have the greatest demands of any sport. During these coaching years I have called on my spiritual background on a daily basis to give my young men an understanding of the attributes that would serve them well on the wrestling mat as well as off the mat, both in the present and in the future. Because of the many personal experiences and in the interaction with young men on such an intense level, I received a strengthening of my testimony and came to know and understand the importance and value of every single person. Throughout my coaching experience, I have won several awards but none have been as satisfying as the reward of having a young man come to me, years later, and tell me how he enjoyed the experience. How hard it was, yes, but how much he appreciated the fact that it was there in the gym, on the wrestling mat, that he came to know who he was and what he could become through discipline and applying the principles of study, practice, obedience and hard work. Applying my values of obedience, faith, with action and hungering and thirsting after worthwhile goals of excellence, has been a power and a guide to my worthwhile objectives of life, knowing that after all that I can do, I must have the continuing support of Father in Heaven to receive additional wisdom to be a successful wrestling coach and human being. In conclusion: An Olympic motto has kept my perspective in balance. “To win is great, to participate is greater, but to love the sport is greatest.” I have grown to love God more and my testimony has grown because of these young men. I have served them as a coach, but they in turn have served me because of the demands I have had to place on myself in order to accomplish our goals together in wrestling. It has truly been a privilege, a blessing and a pleasure watching so many of them grow and develop into outstanding young men. Most of them have become life-time friends. I love the Lord and I love living the gospel. It has given me a format for life. It has given me a game plan to follow. I can see who I am, where I have been and where I want to go and what I can become. In wrestling as in life, your greatest opponent is always yourself. If you can learn to master yourself you will be blessed with happiness and success. 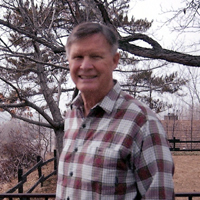 Dr. Fred Rowland was named the Utah Sports Hall of Fame Foundation/Distinguished High School Coach. He was also honored by the Freestyle Wrestling Association of Utah in recognition of over 20 year’s service. Dr. Rowland is the recipient of the Utah Wrestling Association, “Man of the Year Award”. He is blessed with five wonderful children.